Nominated for 6 Academy Awards including Salma Hayek for Best Actress, Frida is a triumphant motion picture about an exceptional woman who lived an unforgettable life. A product of humble beginnings, Frida Kahlo(Hayek) earns fame as a talented artist with a unique vision. 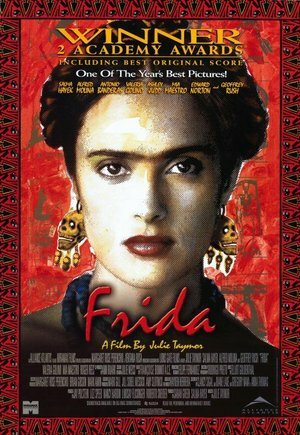 And from her enduring relationship with her mentor and husband, Diego Rivera(Alfred Molina), to her scandalous affairs, Frida's uncomprimising personality would inspire her greatest creations! Also starring Antonia Banderas, Ashley Judd, Edward Norton, and Geoffrey Rush.